Someone ever pull too hard on your hoodie and the string came out? As a minor repair we also agree they are tough to get back in. From your favorite sweater, jacket, workout pants, hoodie strings are not just a cool style but necessary when you want to block out the wind or tighten your athletic wear. 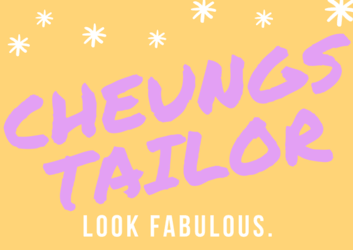 Generally Cheung’s Tailor does not provide the string or lacing we do perform restringing. But some times they do get misplaced and we are able to help you. From your sweater to athletic wear how else may be assist you? Great question not only do we do replacements we can also add in new ones! Bring in your favorite athletic wear if you don’t like the elastic or want to add in drawstrings on top of it we do that too! Creativity is in what we wear every day.